The Valais region of Switzerland makes a fantastic location for a geography field trip overseas. 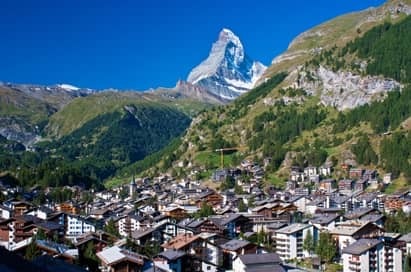 Popular Swiss Alp geography visits for school groups include the imposing peak of the Matterhorn, the Aletsch Glacier, the well-known resort of Zermatt, the proposed Winter Olympic centre of Sion and Mattmark’s hydro-electric dam all within easy reach. 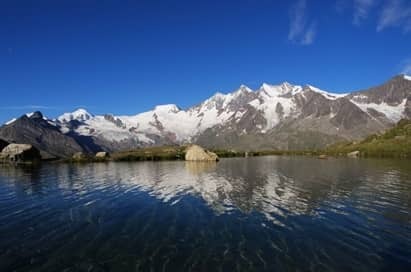 A geography school trip to this stunning region of Switzerland offers pupils a great opportunity for hands on data collection and fieldwork techniques. Our most popular Swiss Alp geography tours are designed to cover a host of study themes. 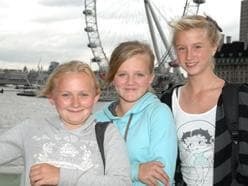 Your pupils will be rewarded with ample learning opportunities in a range of spectacular locations. Our Swiss Alp based geography school trips include the services of an NST Field Studies Guide who will assist you throughout your stay. Price shown is based on 40 paying passengers from selected departure points in October 2019 and is subject to availability. 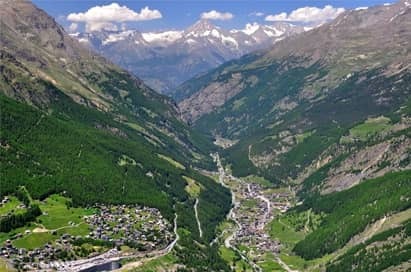 The Saas Valley, with Grund at its centre, is situated on the Italian border and has traditionally been an important trade route. 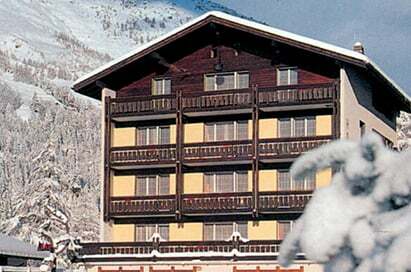 The settlements now boast the international ski resorts of Saas Fee and Zermatt. This option provides an introduction to the surrounding landscape and the history of the area. It gives pupils an opportunity to soak up the awe and wonder of their surroundings. 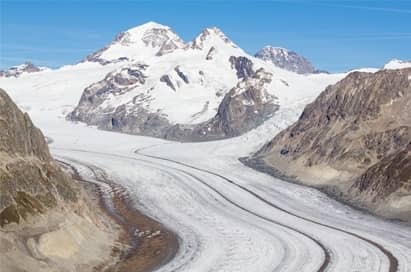 The longest glacier in Europe, the Aletsch forms part of the largest continuously glaciated area in the Alps. 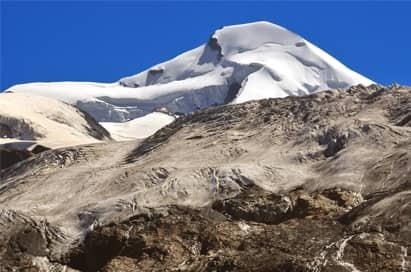 The glacier and the surrounding area is a UNESCO World Heritage Site. From a number of vantage points above the village of Riederalp, the Aletsch stretches into the distance. Your Field Studies Guide will assist your students to identify the numerous landscape features and processes here. The best glacier viewpoints can be accessed by return cable car. Making full use of the steep U-shape valley sides, Brigerbad boasts the longest water slide in Europe and offers everything you could wish for from hot pools to Olympic size pools. A lifeguarded, group-friendly venue. The Dam forms part of a hydro-electric scheme that transports the water from the surrounding glacier into a holding lake, which is contained by the largest natural earth dam in Europe. From here the water is released and used to provide power for the whole region. The controlling scheme has allowed the development of villages and the ski industry. This classic Alpine mountain sits on the Italian border and helps attract 4 million tourists a year to Zermatt. This renowned ski area has rebranded itself as a summer adventure capital. 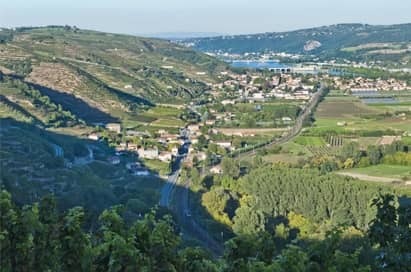 The village, situated in a hanging valley, is accessed by a train, widely considered to be Europe’s best rail journey. 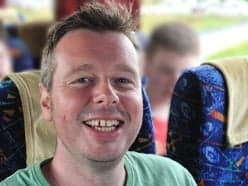 This can extend to a full day study if time and budget allows. 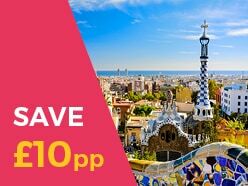 This excursion will involve additional costs for cable cars and trains (payable locally). 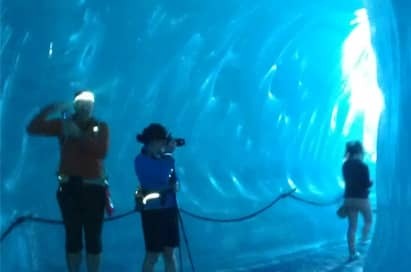 Take the world’s highest underground train to the world’s largest ice caves then relax in the world’s highest revolving café where the spectacular views change every few minutes. Set in the middle of the glaciers on the edge of the permanent snow is the Mittellalin. This is an excellent place to appreciate the power of the ice in shaping the landscape and the ability of the Swiss to engineer access into it. This excursion will involve additional costs for cable cars and trains (payable locally). 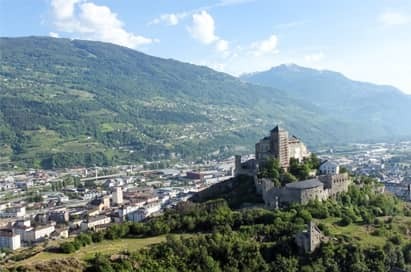 Bex is in the heart of the Rhone Valley, 30 minutes drive from Sion. An audiovisual presentation and exhibition relates the fascinating story of salt mining over three centuries and is shown in an old reservoir that was dug in 1826. A narrow-gauge train will take your group on a journey 400m below the earth. This option provides a good industry case study and can be used to introduce some basic geology. Sion has been an important trade centre for centuries. Flood control schemes have allowed a more modern town to grow and develop with small ski resorts. The compact nature of the town makes it ideal for town studies such as land-use zonation. 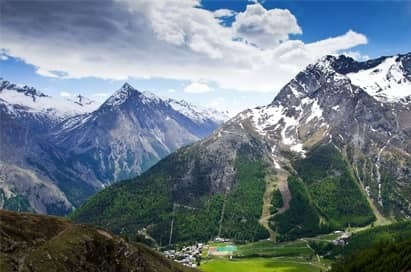 Until 1954 it was only possible to reach the village of Saas Fee by foot. Since the construction of the road, an international ski resort has been built. The village is known as the ‘Pearl’ of the Alps and is surrounded by 4,000m peaks. Trains and public galleries run under the ice and all village vehicles are electric. 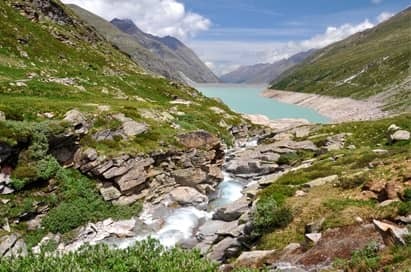 Saas Fee provides excellent examples of impacts of tourism on the natural environment and also provides some innovative management solutions. Below the Mattmark Dam the outwash plain of the Allalin Glacier provides a chance for some hands-on field studies. Measurements of the glacial streams on arrival and departure provide a good introduction to measurement techniques and illustrate changing flow rates through the day and sediment studies can also be carried out. This option can be extended to a full day by following the managed river channel from Saas Almagall to Saas Grund. The Kreuzboden ski area is accessed by cable car from Saas Grund. A higher cable car can be taken to Hohsaas for a spectacular overview of the entire valley and the surrounding glaciers. Yet it is also heavily utilised by the skiing industry which is pushing higher up into the mountains every year. This excursion will involve additional costs for cable cars (payable locally). We understand that you want a study visit that delivers the curriculum. To help you achieve this, our free Swiss Alps Educational Resource Pack - developed by experienced geography teachers - contains a wealth of highly relevant information for you to use before, during and after your tour. The Swiss Alps are a great destination where pupils can collect real fieldwork data on a range of topics out in the field. This data can be analysed in the evenings: looking at different hypothesis, the methodologies of collecting data and drawing conclusions. The awe inspiring geography of hanging glaciers and sharp aretes gives the pupils a chance to understand the processes that shaped the landscape both in Switzerland and much of the landscape in the UK. The human geography of the area can also be explored with case studies of Zermatt and the Mattmark dam, focusing on tourism and how people have shaped and changed the landscape.